Fluoride concentrates in developing teeth & strengthens the enamel. Demineralization & remineralization of teeth naturally occur. Fluoride containing toothpaste is sufficient for fluoride requirement. Not only children but adults should also use fluoridated toothpaste. Enamel is the outer part of crown of the teeth. Crown is the part of the teeth that is seen in the mouth. Demineralization (loss of minerals) and remineralization (deposition of minerals) of the crown of the teeth inside the enamel naturally occurs in your mouth. This is a daily process. The acid that is formed in the mouth after eating dissolves the calcium and phosphorous under the tooth's surface. The acid is formed by the bacteria in the plaque from the sugar in your mouth. When the saliva becomes less acidic, calcium and phosphorous are deposited (remineralization) on the teeth to keep your teeth hard. If excessive demineralization occurs without adequate remineralization to repair the enamel of the tooth it causes tooth decay. In presence of fluoride calcium and phosphorous are deposited much better than they would otherwise be. This helps to strengthen your teeth better. Fluoride strengthens enamel: In children fluoride concentrates in the developing teeth and strengthens the enamel. In adults it acts on the enamel of the teeth that have erupted and hardens the enamel. Fluoride and demineralization and remineralization of teeth: Demineralization and remineralization of the teeth naturally occur in your mouth. The acid that is formed in the mouth after eating dissolves the calcium and phosphorous under the tooth's surface. When the saliva becomes less acidic, calcium and phosphorous are deposited (remineralization) on the teeth to keep your teeth hard. In presence of fluoride calcium and phosphorous are deposited much better than they would otherwise be. This helps to strengthen your teeth better. 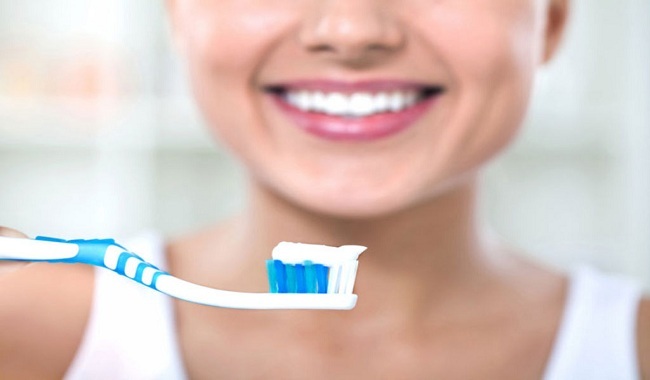 In adults and children with healthy teeth that are low risk of decay fluoride in drinking water and brushing regularly with a fluoride containing toothpaste is sufficient to meet the fluoride requirement. The fluoride present in the water and food, from supplements is absorbed from the stomach and enters the blood stream. This reaches the developing teeth in the jaws in young children. Topical fluoride treatment with fluoridated toothpaste, mouthwashes or professionally applied fluoride treatments, maintains high fluoride levels in the mouth for several hours afterward. Consult your dentist for advice regarding fluoride supplement especially if you have children. Children 6 months to 16 years-- if they drink water deficient in fluoride. It is recommended that not only children but adults should also use fluoridated toothpaste. However be cautious about the toothpaste as too much fluoride can cause fluorosis in young children. Use only a small pea-sized amount of toothpaste on your child’s toothbrush who is less than 6 years. Teach your child to spit the paste after brushing. Do not use flavored toothpaste as this may encourage swallowing. Fluoride treatment is often prescribed for children when their teeth are developing especially if your child has cavities or is at high risk of developing cavities. The extra fluoride such as fluoride mouth rinses can promote remineralization. Consult your dentist or pediatrician for fluoride supplement for your child. 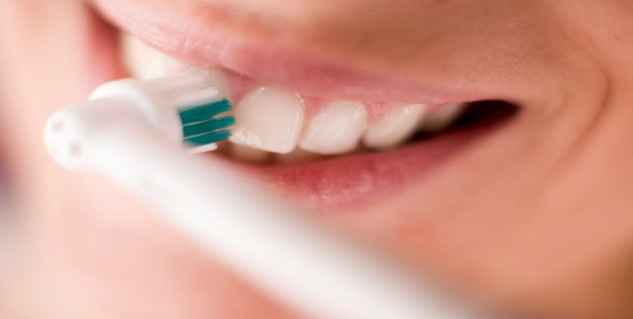 Read more aticles on Dental health.